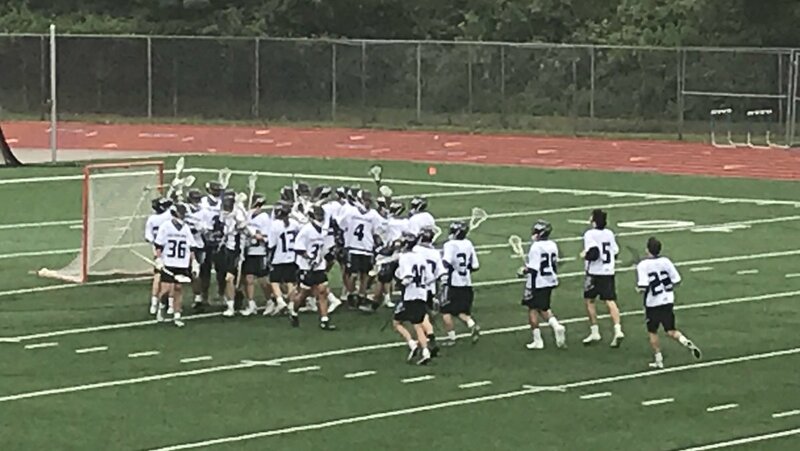 The Wolves march in the OHSAA tournament continues after Kilbourne defeated crosstown rival Thomas Worthington 15-3 on Friday night. The win means the Wolves now advance to the OHSAA Region 3 Semifinal. Kilbourne was down 1-2 after the first quarter but rallied with 6 unanswered goals in the second quarter to post a 7-2 halftime lead. The Wolves continued to assert themselves on both sides of the field in the second half to pull away for the victory. WKHS will now play #3 seed New Albany on Tuesday May 22nd. The game will be at WKHS, but game time is still TBA. Congratulations to the Senior Wolves graduating on Sunday!